6800 On-Line is a premium acrylic semi-gloss curb and instructional enamel that offers the finest in traffic marking paint. On-Line provides excellent adhesion, is durable and offers a tough flexible film coating with excellent color retention. Product Advantages: color fast, remains flexible over time, is durable, easy to apply and can be applied by air and airless spray equipment, brush or roller. Requires no thinning, is pre-strained and is environmentally safe and user friendly. 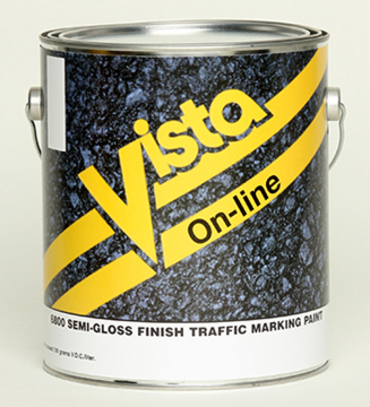 Recommended Uses: On-Line is designed for use on curbs and instructional markings requiring a semi-gloss finish. For use on most new & previously painted concrete, asphalt, masonry, roadways, parking lots, primed metal pole traffic guards & more.